This is my first character. Well, not really mine. I get the sprites from another game, one of Kunio-Kun series, River City Ransom. The biggest trouble is about shading. Are there any instant way to shade sprites, without having to paint them? No there are no shortcuts to shading sprites. Well, the proper way to shade things is going to be fully manual. You can, however, ease up the process if you are willing to sacrifice quality compared to pure painting. 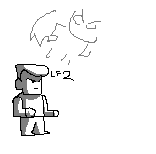 - (extremely rudimentary method) use a "bevel & emboss" effect and apply it to the sprite. Ideally, apply it to individual body parts, and even better, overpaint to give it a more natural look. Ow.. Using flash would be nice! The sprites are pixelated.. Is it possible to make them smooth? If I use blur effects in photoshop, it will make dirty pixels..
And what do I have to do to make my BMP in index mode? (02-17-2018, 02:09 AM)seikosantana Wrote: The sprites are pixelated.. Is it possible to make them smooth? If I use blur effects in photoshop, it will make dirty pixels.. It still retains that pixelated look, though. You can try experimenting with elements in "Filter>Filter Gallery..." if there is anything more suited for your needs but in the end, truly getting rid of pixelation requires you to actually paint things. There is no way around that. (02-17-2018, 02:09 AM)seikosantana Wrote: And what do I have to do to make my BMP in index mode? "Image > Mode > Indexed Color..."
Actually I have done the spritesheet.. I am thinking to share it. Not only this one, I also had made his friend, Riki-kun, and his rival, Yamada.. The sprite source is taken from a 3DS game.. I have to resize the source spritesheet 2x with nearest neighbor filter to avoid dirty pixels.. I'm only thinking about the shading and pixelated view.. I reallu want to post it but it will be a shame, isn't it? No shame at all. However the truth is that we won't be amazed by ripped sprites, but this might help you make the character better, as long as you intend to respect the feedback. 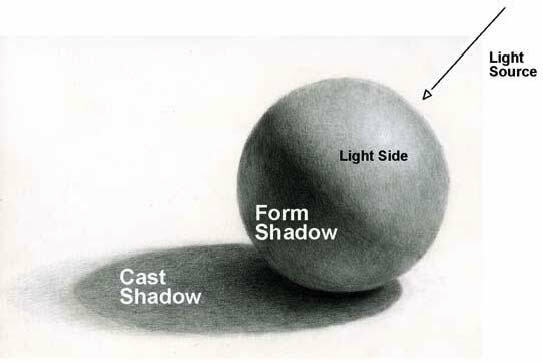 For shading - the only way to get auto shading is to create a 3d model. No other tool will know how to handle shading. About pixels - not much you can do about smoothing. The only way is to redraw. You can try using bunch of blur + sharpen image processing filters, but the effect will be pretty weak. Aww.. I want to redraw and shade them up...only if I have time.. I'm going to post them anyway.. Maybe I will update the sheet later..
and hovv it affects the shape. I vvould like to see Kunio Kun sprites in Kunio Kun style, because that style, is damn avvesome. Everybody started from the bottom, try it yourself, first do something by using already made just add some thing or tvvo, later you vvill learn hovv to do it by yourself, art and coding. Novv just make a character, do vvhatever that keeps you motyvated because novv you vvill try to learn something nevv and you might just end up demotyvated and say "I vvont make it, you are better, bla bla bla, I am noob, notice me!" Actualy dont vvory about amazing somebody, first, do it for yourself, later try for the others. Like games vvith online mode. First, you beat tutorial, beat npc and later go fight real people. Whoa! That looks nice, although it's still in pixelated look! Current time: 04-24-2019, 07:18 AM Powered By MyBB, © 2002-2019 MyBB Group. Theme created by Silverthorn.